Investigative Journalist and Relentless Advocate Jess Kimball returns in Fatal Enemy, a new short story available now! Jess Kimball hadn’t been in the same room with Richard Martin for more than a dozen years. Worse things than Richard had happened to her since she’d seen him last. He’d find out soon enough that she wasn’t a gullible sixteen-year-old anymore. She was his enemy now and he was hers, whether he knew it or not. Grab your copy today and find out! 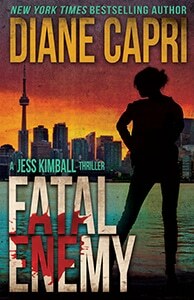 Readers love Fatal Enemy and Jess Kimball!